If there were a way to preserve your mind after you died, would you do it, even if it cost tens of thousands of dollars? 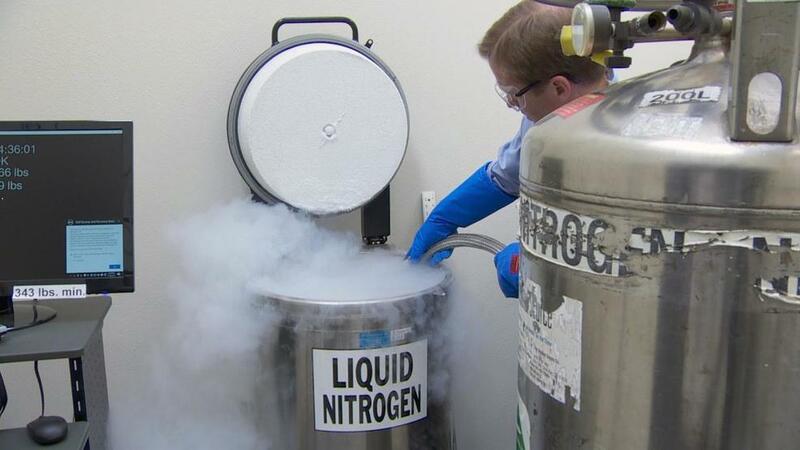 Oregon Cryonics is working to make that idea a reality. Its facility is one of only four offering the service worldwide. From the outside the facility looks like a normal office building, and inside it looks like a normal lab, complete with gas tanks, computer screens, a refrigerator and nearby buckets. But inside the refrigerator there is a human brain, and the buckets are full of brains, too. Oregon Cryonics is a nonprofit group with a very specific goal. “We preserve brains. We try to preserve them with the very best structure that we can,” says Executive Director Jordan Sparks, who is a computer programmer and a dentist by trade. He wrote the software for the endeavor, and part of the facility was his previous dental office. Sparks started working on Oregon Cryonics full time four years ago. The first brain the group preserved belonged to a dog named Cupcake. Since then it has preserved around 50 or 60 human brains. “We try to lock all the molecules in place so that future scientists can decide what to do with those molecules afterwards – revive the person somehow,” says Sparks. He says the preservations are done in two ways. One: By pumping the brain full of chemicals with a complex electronic system soon after the person dies. Two: By keeping brains cold, around negative 300 degrees. Most of the brains – the ones in the buckets – are not kept cold. They’re preserved only with chemicals. He says six of the brains are being kept cold through a multistep process. It ends with them chilling in a tank filled with liquid nitrogen. He says two of those brains are from folks who spent about $25,000 each. Anyone can sign up for services, but you have to die close by, Sparks says, because they need to start pumping chemicals into the brain as soon as possible after death to successfully preserve it. Also, certain life insurance policies do cover cryonics.